First the scientists came for our kitchen sponges. Full of frightening germs, they said. Bathroom hand driers? Havens for ugly bacteria. And now? 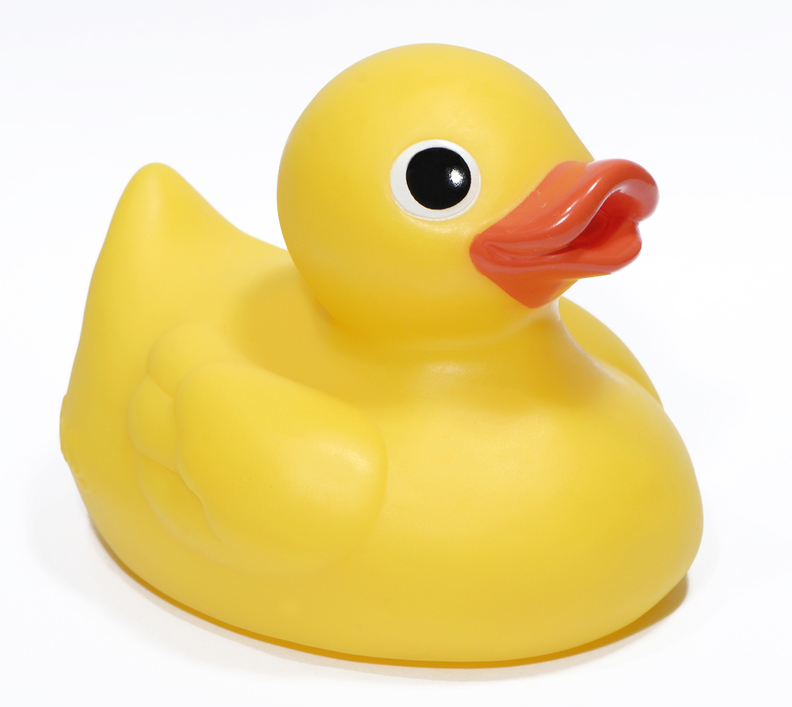 The innocuous rubber duckies that delight tots at bath time could harbor a nasty surprise. Swiss and American researchers counted the microbes swimming inside the toys and say the murky liquid released when ducks were squeezed contained "potentially pathogenic bacteria" in 4 out of the 5 toys studied. Bacteria found included Legionella and Pseudomonas aeruginosa, a bacterium "often implicated in hospital-acquired infections," the authors said in a statement. The study by the Swiss Federal Institute of Aquatic Science and Technology, ETH Zurich and the University of Illinois was published recently in the journal Biofilms and Microbiomes. They turned up a strikingly high volume—up to 75 million cells per square centimeter (0.15 square inch)—and a variety of bacteria and fungus in the floating toys. Tap water doesn't usually foster the growth of bacteria, the scientists said, but low-quality polymers used in the duckies supply the nutrients they need. Bodily fluids—like urine and sweat—as well as contaminants and the soap in bathwater add microbes and nutrients to create a balmy brine for bacteria. While certain amounts of bacteria can help strengthen children's immune systems, they can also lead to eye, ear and intestinal infections, the researchers said. Among the vulnerable users: Children "who may enjoy squirting water from bath toys into their faces," according to a statement from the institute. So should you send baby's bath toy to the trash pile? Lead researcher Frederik Hammes told CNN "a bit of bacterial exposure is not that bad." Just keep it clean. "The easiest answer is to wash the toy regularly with clean hot water and a bit of soap," he said. "Also, there are actually many toy ducks without a hole. Less fun, but certainly cleaner."